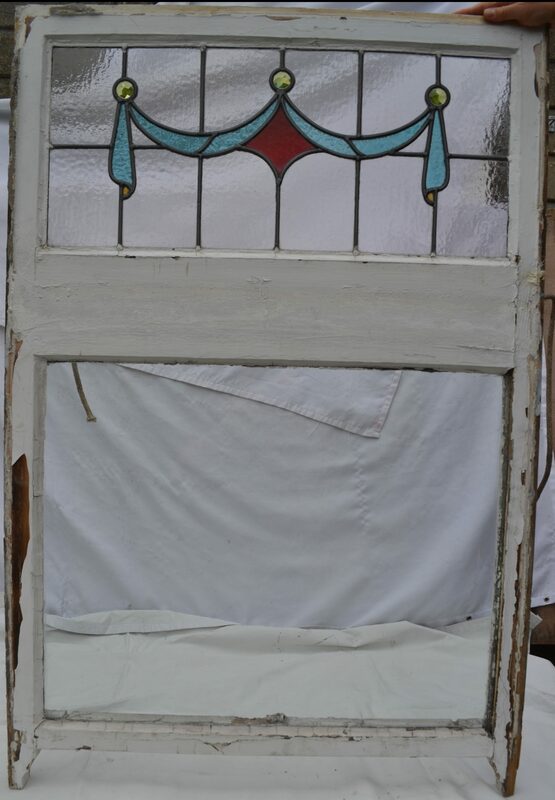 These can either be used in current state as a large window or you could saw the tops off – ideal for above door size. The customer wanted clear glass for the background but it can be done in opaque. Depending on your size more interest could be produced by adding a border – you choose the colour! Please let me know your size so that I can provide a price.